Range: long range technique: up to 10 meters, max width of jutsu 3 meters. After oerforming the necessary seals for this jutsu ( ram-horse-snake), a large snakehead out of mud appears next to the user, which after opening its mouth can shoot off a moderate number (a dozen)of mudballs at enemies, these mudballs can cause light to moderate bruising, but are never lethal. These mudballs travel at a speed of 20m/s making it a high speed jutsu, but one that can never break through a defensive jutsu because of it's devided strength into the seperate balls. A soft breeze was flowing through the forest, making the leafs of the trees rustle softly. The temperature was just a few degrees above zero, yet with the rain from the last few days, the ground was soft and muddy, just the perfect and opportune time to start training some new jutsu which were of the mud-type. This was what Risu had thought of that exact morning, as she had no missions to do that day, it was better to try and use the time for herself, training in some new jutsus she came up with, rather than running around town, bored because she had no missions. With her Bento made and her usual gear on, she ran to the dense forest outside the gates of the village, quickly trying to find herself some open spot which she could use to train her mud bullet technique on its best. When she found a spot just like she wanted, with a dialeter of easily ten meters of open space, she placed her backpack at one of the trees at the edge of the open spot and walked to the center of the place, checking the ground with her feet, by stomping it with her left foot a few times, checking the humidity of the ground and when she smiled, seemingly pleased with the result, she suddenly formed her handseals quite fast, yet did not notice that she had mistaken her last handseal. She had formed the dragon seal instead of the snake seal, so in a way she was surprised when the ground only seemed to shake a bit, but nothing happened. When she tried the appropriate seals again, she did it correctly, ending the combination of handseals with the snake form, resulting in the ground trembling, when a human sized snakehead made out of mud arose from the ground, but Risu's control wasn't good enough for it to open its maw and shoot the intended mudballs, instead the snakehead seemed to shake and tremble a few times, before it retreated in the ground again. "Really, why does it always seem so easy on paper," She sighed deeply, putting some loosened strands of her black hair behind her ear and walking to her backpack to get herself some of the cold tea she had bought along the way. "I need to put more chakra in it and keep focused, it has to go faster, otherwise this jutsu is doomed to fail at all times." Description: Soron builds up and discharges short bursts of lightning nature chakra throughout his central nervous system and his body, overloading his neural synapses and increasing their output. This in term speeds up his reflexes by 0.5 of rank. However this jutsu requires continued focus or it will halt so Soron cannot perform any jutsu other than taijutsu of same rank or below. Also because of the strain caused the cooldown for this jutsu raises by 1 for every post active. The jutsu cost a C-rank chakra to activate and then 5 each post. Soron had been awake and out in the forest all night attempting to perfect a jutsu he himself had created. The basis for the jutsu was actually quite simple. Utilizing his affinity for lightning he would channel lightning based chakra throughout his central nervous system and in doing so overload his neural synapses causing his body to move faster than it normally would. His first couple of tries ended in failure of course as he just wasnt concentrating the chakra and not only that but focusing continued burst of natured chakra throughout his whole body was not easy by any means. Soron was breathing heavy and panting as he had not had any sleep over the past 24 hours. "Damnit... why cant i get this right? Iv worked out what i need to do but i just cant focus the chakra good enough for the jutsu to take affect." He said to himself as he was starting to get more and more frustrated with each failure of the technique. He reached into the backpack he had brought with him and from it pulled a water bottle about half full of water. He twisted the cap off and chugged the rest of the water before returning the now empty bottle to his bag. He took a deep breath and clapped his hands together closing his eyes to focus. He began focusing his chakra causing it to change to lightning natured chakra and run through his body faster and faster. As he opened his eyes he rushed forward, smashing his fist into a tree with a loud thunk. He had moved quite fast crossing the distance between him and the tree in the blink of an eye and that distance had been about a few meters. His jutsu seemed to be working more and more with each try. He backed up and fell to the ground exhausted. He would definitly pass out if he tried to push himself. He decided he needed to just sit down and relax for a few minutes then after a little rest he would get back up and continue working on perfecting the jutsu. Once perfected he hoped it would be worth the trouble he went through mastering it or else the whole training session would be a dud. He looked up to the sky and wondered for a moment "Third hokage, I wanna be as good a Sarutobi as you one day." "Emotions are feeble concepts only created by the human psyche to give meaning to things otherwise meaningless." As she tried it time after time, she felt her chakra being drained, her energy diminishing with every failed attempt to perfectly being able to use the Jutsu, which was quite the frustration for the young kunoichi: knowing that this was most likely going to take her a lot of failed trials and grueling long training, but on the other hand it was worth it, because this would be her strongest offensive jutsu by far and it would make her tri-jutsu combination into a strategic force to be reckoned with. Risu decided that she'd best eat a bit to gain some strength and have a short rest, so she would be fit enough to continue the training schedule. So far she had managed to get to the first step of the jutsu she had envisioned to create, however the part of letting the giant snakehead appear out of the mud was but the first step indeed, as she still had to make it shoot the mudballs like she wanted. "I'm either using a to small amount of chakra or I'm doing my seals wrong," She muttered while eating one of her selfmade eggrolls, thinking over the entire process of the jutsu to see what she had done wrong and learn from those mistakes. "Maybe I'd first try the seals and after that the chakra, because more chakra doesn't necessarily mean better control of the jutsu." So, when she had drunk all of her cold tea and eaten the entire bento she had made that morning, Risu would start practici g her jutsu yet again, forming the handseals like she hoped them to be correct, while adding a bit more chakra to the entirety of the process. The snakehead did appear, a human sized maw out of mud opening...right in front of her, which she had not seen coming was the fact that the jutsu was facing the wrong way and just then it managed to shoot its first mudball before she had managed to dispell it. The young woman grunted when the mudball squashed against her abdomen, throwing the featherweight girl a few yards back, landing on her behind in the mud, sliding until she hit a tree with her back. A yelp in pain left her lips, tears were flowing down her pale cheeks, as she tried to get back up to her feet. Slipping and sliding a little, she managed to do just that, yet had to lean against the tree to take little rest again to relief herself from the aching back she now had to endure thanks to her earlier miscalculation and late response to the failure of her own jutsu. "Kami-Sama must really hate me," The exhausted girl sighed deeply, still leaning against a tree, her clothes covered with a layer of mud, sweat forming pearly beads on her neck and forehead, while her hair was hanging loosely in front of her face and over her shoulders, almost making her look like the ghost of a drowned woman out of the local folklore. "This really isn't my day." Hearing a sudden jolt through the forest, she first thought it was because she was tired and drained, but after seeing hearing the crackling air, the stinging feeling of the area being loaded with electricity, she knew what it was: someone else training as well and not far from her location or was it something else? Deciding she'd use her new jutsu if necessary, she tried her handseals again, used the sale amount of chakra as she did earlier, but this time managed to control the head and its direction in the process, shooting off a few mudballs towards a tree before deeming the jutsu to be good enough to be used. Dispelling the jutsu, she got her bag and jumped up, skipping from tree to tree until she managed to find the person who was responsible for the tingling sensation the air gave her. "If you'd use that jutsu during the rain, you'd zap everyone in the forest," Risu chuckled, while climbing down a tree towards Soron. "You should adjust the density of your chakra...I guess. He had been on the ground resting for a couple of minutes now and his strength was returning to him slowly but surely. He had been pushing himself quite hard and if he kept at it he would either master the jutsu or pass out from exhaustion, most likely the ladder. He stayed sitting on the ground for a little while longer remembering the tales of the ancient and long gone famous Sarutobi. The third hokage being one of them of course but his son Asuma had been no push over either. He remembered reading about Asuma's famed trench knives that adjusted to the chakra nature of the wielder. Those must have been lethal weapons and weapons the enemy would find best not to be on the wrong side of if they were smart. Soron after a few more minutes of day dreaming picked himself up off the ground and took a deep breath now ready to continue his training and finish this jutsu. He needed to send the bursts through his body faster in order for it to work that part he had figured out. However something like that was almost always easier said than done of course. He closed his eyes and clapped his hands together just as he did before, the air crackling slightly as the lightning natured chakra began zipping throughout his entire body speeding up the synapses between the neurons and increasing the speed with which his body should normally be able to move. He dashed froward smashing his fist into the tree and then back flipped away landing on the ground for only a moment before another punch of his smashed into the tree. His second punch had caused the tree to shake and the leaves fall from it in a dance of petals. He looked up as they began fluttering down towards him only to land on the ground light as a feather before the slight gust slowly carried them away. "The will of fire huh? I guess I kinda do believe in it after all dont I?" He said to no one but himself. The will of fire was the sacred spirit of the Sarutobi clan and he had yet to embrace it but, it was beginning to envelope him and he was starting to take notice. He sighed and clapped his hands together again focusing as much lightning chakra he could throught his whole body causing a slight buzz to be emitted from his whole body as he dashed back and forth testing the speed the jutsu granted him. He hadnt yet noticed the girl nor heard her when she spoke to him so he dashed again at the tree and swung his punch as quick as he could. However she landed in front of his punch and he had to halt, his fist mere inches away from her nose. He halted his jutsu the crackling and buzzing stopping. "That was close. That would not have felt good had i not stopped myself. Sorry i didnt see you there." He sighed a little bit and scratched his head. He hadnt thought anyone else had been out here but then again. Hes not the only genin who needs to train so its very possible for him to run into other ninja training all over the place. "So what brings you out here? Not to be rude in any way but i didnt really expect to run into anyone out here while i was training my new jutsu and thats probably why i was getting a little carelss and almost hit you. Sorry again by the way." He hoped she would accept his apology as he honestly had not intended to almost clobber her. He cant really say he would have clobbered now that he thought about it though. It was just a simple augmented punch and shinobi are able to take much more punishment then that alone. Hell some shinobi can scar the land with a single jutsu and leave it that way forever. Still though his punch would not have felt good by any means of the word but she would have most likely just been thrown back suffered a bloody nose and maybe a concussion and got up more mad as hell than anything had Soron followed through. Still though part of him wondered what a punch augmented by his lightning style speed would do to someone. With her eyes wide open, the young kunoichi managed to hold herself together when Soron seemed to manage getting a perfect control over his jutsu. Scared for a single moment, but glad neither she nor the other shinobi had to end up being beaten or worse, she simply gave a shrug and a smile, taking a step back and lean against a tree. While she bound her long black hair back together in a long tail, Risu looked at the young shinobi with eyes filled with a keen interest in the young man, waving away his apologies with yet another shrug and a soft grin. "Was that by any chance Taijutsu you were doing? Risu asked, with the fact being that she herself was not really an expert in taijutsu, all she knew where basic fighting styles, how to dodge, punch and kick, but no real specialization to call her skills real taijutsu. Her own skills had been based on the pride of the Ouroboros clan, Ninjutsu and medical ninjutsu, with Risu also dreaming of learning kuchyose one day. "could you explain what kind of technique you are training?" While waiting for an answer, she started looking at her own hands and skin, thinking about the hardening snake scale jutsu she had been born with as an Orochi family head, thinking if that taijutsu technique the young man was training, could've been stopped by that particular jutsu of her clan. 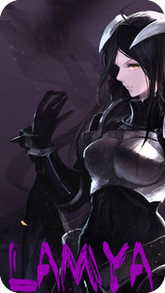 Soron watched the young kunoichi lean up against a nearby tree and bound her black hair backwards back into submission. Then he saw for a second her eyes filled with interest at him, interest in what however he did not know when he first saw the eyes. He awaited for what she might say and wasnt very surprised when she began asking him questions about his new jutsu. He would tell her just because she asked and did not demand plus there was something nice about her that he liked. "Yes you are correct it was a taijutsu, but not just any taijutsu. This taijutsu is a little different from you average everyday hand-to-hand combat. I created it myself and by using my affinity to the lightning style it is made possible. What I do is using extreme focus, send short but controlled and intense bursts of lightning natured chakra through my body and into my neurons. By doing so I overload my neural synapses and cause them to work at an increased rate. By doing so my body can move much faster than normal. Its a difficult jutsu to control as the amount of focus required really takes its toll eventually." He took a deep breath as he finished his explanation. He plopped down straight on the grass where he was and decided to take a breather having finished his training he needed a well deserved rest. He looked up at the girl and wondered about her clan. He wondered about their strength. Orochimaru had come from that clan and he had been able to kill the third hokage so he knew that they were not weak by any means. However that was a long, long time ago so he wondered if her generation was different if they had surpassed their ancestors like the current Sarutobi have. Even though the jutsu's training was completed Soron still had no idea of the usefulness of it in battle. One day he would find out though as every shinobi must be apart of war and fighting, its in the job description. He knew his speed augmented by the jutsu would definitely make his punches stronger as the increased speed equals increased force but.. by how much was the real question. It was something for him to figure out at a later date as he just resolved himself to sighing about it at this point in time. A moment, the young girl listened to everything Soron had to say about his technique, carefully memorizing his idea on overloading his neural synapses, triggering them and breaking through the natural limits of the body by sending an electric current through his system, yet as a medical ninjutsu specialist and coming from a clan which was built upon medical ninjutsu, this was all very interesting and enlightening to hear, yet Risu also thought of it to be rather risky without proper training, as one single mistake in such a technique could lead to overal paralysis or worse, not the kind of result one wanted to have when using a jutsu. "So that technique enhances your speed and strength in a way," The kunoichi chuckled, sinking through her knees as well, grabbing her legs together with her left arm, while leaning against the tree. "Though I reckon it to have a downside regarding flexibility...right?" With the medical ninjutsu, the knowledge on the body of humans and animals, the idea of strengthening and supplementing one's senses, strength and speed were quite normal, but Risu did not suspect that taijutsu used almost similar principles with apparently also a good knowledge on the body, it all seemed so interesting for someone who knew little beyond the entrapments of her own skills and specialties. "There is a technique my clan posseses: the Hardening snake scale jutsu," Risu suddenly blurted out, deciding that with the young man's explanation on his technique, she as well could explain what she was thinking about, her own opinion in a sense. "I'm not yet very good in it, only able to cover one limb of mine with the scales, but it would make one wonder...what is the most important trait a jutsu can have: offense or defense?"